Menopause can bring a lot of unwanted symptoms, from fatigue and mood swings to hot flashes and vaginal dryness. One very frustrating menopause symptom that women often overlook is weight gain. According to 34 Menopause Symptoms, about 90% of menopausal women experience some amount of weight gain. We want to help you understand why menopausal weight gain occurs, why you need to monitor it, and what you can do to help avoid it! 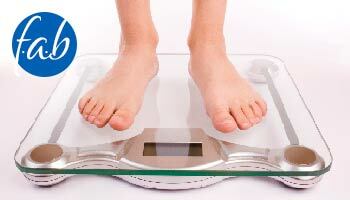 Why Does Menopausal Weight Gain Occur? Loss of Muscle Mass: Estrogen loss can lead to the deterioration of muscle mass which means fewer calories burned and a slower metabolism (CBS News). Stress: Stress due to aging or menopause can also lead to over-eating and unhealthy habits like drinking excessively, which can lead to weight gain. While your body may be changing during menopause, and you may not be able to manage your weight as easily as you did 10 years prior, there are still things you can do to protect your health. This includes exercising regularly. You don’t need to do a half marathon or take up Tae Kwon Do; low-impact aerobics and yoga will do just fine. If you take a walk around your neighborhood each night, swim some laps at the gym pool, or even do some backyard gardening, you are actively working to maintain your weight. Additionally, healthy eating can play a major role in combating menopausal weight gain. It’s all about portion control. Avoid over-eating at meals and mindless eating while you’re snacking and you’re on the right track to staying healthy. Additionally, to prevent packing on the pounds, cut down on the amount of bread and other carbohydrates. Although it is easy to avoid working out as you grow older or treat yourself to that extra piece of cake because of those menopausal mood swings, you must fight the urge. It is important to control your weight during and after menopause in order to protect yourself from serious health issues.